Patrika Darbo has been nominated for a Primetime Emmy Award in the category of Outstanding Actress in a Short Form Comedy for Acting Dead, a web series created by Brian Beacock and produced by Beacock, Susan Bernhardt, and Paul Nygro. This year, the TV Academy added three new short-form categories — a bid to open up the kudos tent to digital players. Indy newcomers, however, were almost entirely shut out as most of the 68th Emmy Award nominations for short-form scripted comedy or drama series (and actor or actress) went to traditional TV networks or their online outlets, making Darbo’s nomination especially thrilling to the producers and company of Acting Dead. A ‘Zom-Com’ which has gleefully been described as Shaun of the Dead meets Arrested Development, Acting Dead tells the story of Tate Blodgett (Beacock), a down on his luck, unemployed actor, who after being turned down for role after role, decides to take matters into his own hands and become a Zombie so he can finally get work in the many Zombie movies and television shows being made. Along the way, as things aren’t working out so well, he meets Alex Carboneux (Jillian Clare), a former child star whose temper has stalled her career. Alex decides to take matters into her own hands, which doesn’t work out so well either. Brian Beacock and Susan Bernhardt are known for their earlier web series, the critically acclaimed McCracken Live! (Beacock) and Miss Behave (Bernhardt). Along with Beacock and Clare, Acting Dead boasts a wide array of talent including series regulars Chris Galya, Patrika Darbo, Paul Nygro, and John Yelvington. Season One guest stars are Debbie Gibson, Eric Martsolf, Carolyn Hennesy, Sean Kanan, John J. York, Cocoa Brown, Christine Lakin, Lori Alan, Erin Matthews, Gary and Larry Lane, Peter Allen Vogt, Sheila Sheila, Mitch Silpa, and Jacee Jule. 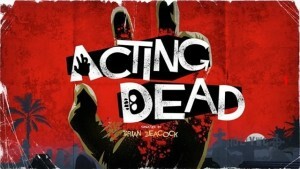 Season One of Acting Dead is available for viewing at www.actingdead.com. Chris Isaacson Presents has announced that legendary Tony Award-winning Broadway star Donna McKechnie will bring her show Same Place, Another Time to the Catalina Bar & Grill in Hollywood for two performances only on Friday, August 5 and Saturday, August 6 at 8:30pm. 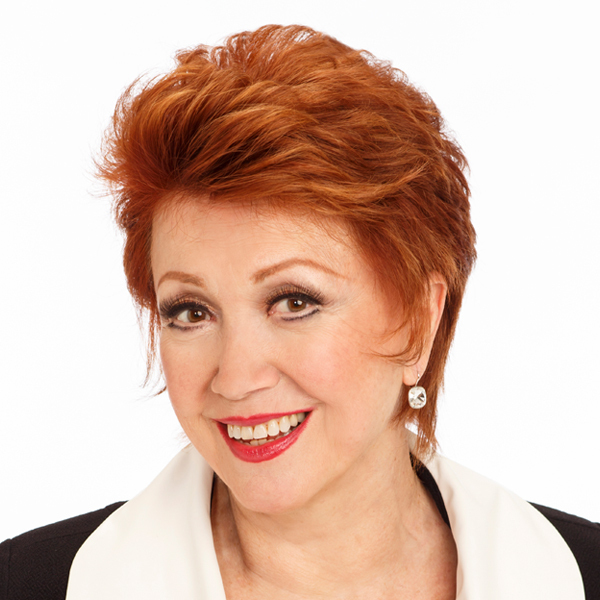 Tony Award-winning star of A Chorus Line Donna McKechnie is regarded internationally as one of Broadway’s foremost dancing and singing leading ladies. Her Broadway shows include How to Succeed in Business Without Really Trying, Sondheim—A Musical Tribute (which she also choreographed), On the Town, Promises, Promises, Company, and State Fair (1996 Fred Astaire Award for Best Female Dancer). McKechnie has starred in numerous productions in London’s West End including Promises, Promises, Company, No Way to Treat a Lady, Can-Can, and Follies. She starred in Bob Fosse’s last production, the 1987 National Tour of Sweet Charity (Helen Hayes Award nomination). Regional credits include Irma La Douce, Cabaret, Threepenny Opera, The Goodbye Girl, Mack and Mabel, Annie Get Your Gun, Gypsy, I Do! I Do!, and her own one-woman musical Inside the Music. Most recently she created the musical staging for Six Dance Lessons in Six Weeks starring Leslie Caron at the Laguna Playhouse. McKechnie’s memoir, Time Steps—My Musical Comedy Life, was published by Simon and Schuster. Special guests will include Greg Safel making his LA cabaret debut in celebration of his new CD Visible (LML Music), and local favorite Jeffrey Scott Parsons, a musical theatre star working on the boards across the United States and internationally. Some of his many credits include West Side Story, White Christmas, Cabaret, Dames at Sea, 42nd Street, Glory Days, and Forever Plaid. Chris Isaacson Presents (CIP) has created, produced, and promoted over 600 events since the company’s founding in 2004. From small clubs to major theatres CIP has presented some of the most influential stars of this generation including Adam Lambert, Lea Michele, Neil Patrick Harris, Grammy Award-winners Paula Cole, Richard Marx, Sergio Mendes, and more. Earlier this year, CIP produced the “Food & Friends—Vibiana” charitable event honoring Grammy Award-winning rock icons Pat Benatar and Neil Giraldo. The event at Los Angeles’s downtown hot-spot Vibiana, was hosted by Emmy-Award-winner Lisa Kudrow and included performances by UCLA’s Scattertones, Nickelodeon’s Ashley Argota, and High School Musical star Corbin Bleu. “Food & Friends” raised over $400,000 for the Nexus Scholarship Award that supports elite clinician/research neuroscientists in UCLA’s M.D. and Ph.D. Psychiatry Residency research training programs. CIP’s most recent event — Broadway Under the Stars: Celebrating the 35th Anniversary of “Dreamgirls” — was a complete sellout at the John Anson Ford Amphitheatre in Hollywood. The evening starred original Dreamgirls Sheryl Lee Ralph, Loretta Devine, and Jennifer Holliday, and featured special guests Perez Hilton and Mary Wilson (a founding member of The Supremes). For information about upcoming CIP events, including Peisha McPhee & Sergiu Tuhutziu‘s Chopin Meets Broadway (September 30 & October 1), and Adam Pascal and Anthony Rapp (October 25 & 26), visit www.ChrislsaacsonPresents.com. Donna McKechnie: Same Place, Another Time will play two performances at the Catalina Bar & Grill on Friday, August 5 and Saturday, August 6 at 8:30pm. Doors open at 7pm for cocktail and dinner service (minimums apply). Admission is $30—$40, and VIP seating ($50) is available. Purchases made before July 29 receive a $5 discount, and online purchases will receive priority seating. Tickets may be obtained by visiting www.TicketWeb.com or www.ChrisIsaacsonPresents.com, or by calling (866) 468-3399. Catalina Bar & Grill is located at 6725 Sunset Boulevard in Hollywood, 90028. Donna McKechnie. PHOTO BY CAROL ROSEGG. IN ASSOCIATION WITH JAXX THEATRICALS, INC.
2016 Hollywood Fringe Festival Encore! Producers’ Award-Winner Fairy Tales Against Humanity in association with Jaxx Theatricals, Inc., has announced a one night only special performance on Friday, July 29 at 8:00 at the Matrix Theatre on Melrose. Created and directed by JP Karliak, this wildly inventive comedy show will also play performances on Wednesdays, July 20, August 3, and August 10, all at 8pm, at the Lounge Theatre in Hollywood. 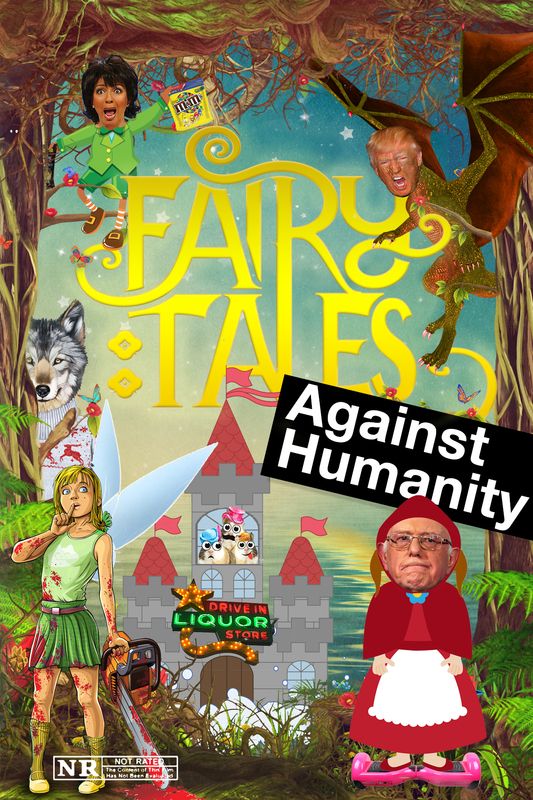 Like children’s theatre gone horribly wrong, Fairy Tales Against Humanity is a new interactive improv comedy show which had its world premiere at this year’s Hollywood Fringe Festival after a workshop production at Second City Hollywood. A cast of accomplished comedians will take classic fairy tales and fables, and — with suggestions from the audience and special guests — twist them into wickedly hilarious abominations that would make Mother Goose faint. Plenty of adults-only laughter and surprises await. Performance run time is 90 minutes. Special guests for the Matrix Theatre performance on July 29 are voice-over legends Courtenay Taylor (Fallout 4 and Regular Show) and Kari Wahlgren (Rick & Morty and Fairly Oddparents). The Lounge Theatre performances are set to feature special guests comedienne Lauren Flans (Comedy Central’s Another Period and LA’s Lost Moon Radio) [7/20]; voice actors Max Mittelman (One Punch Man) & Imari Williams (Lego Star Wars: The Force Awakens) [8/3]; and the multi-talented Parvesh Cheena (NBC’s Outsourced and East West Players’ The Who’s Tommy) [8/10]. Guest performers are subject to change. The show features (in alphabetical order) Amanda Barnes, Gillian Bellinger, Rachel Crane, JP Karliak, Danny Lutman, Andy McDuffie, Chris McGowan (co-producer), Alain Pierre, Jamison Scala, Matthew Schlissel, Travina Springer, Amanda Tate, and Michael Tauzin. Music direction is by Sam Johnides. 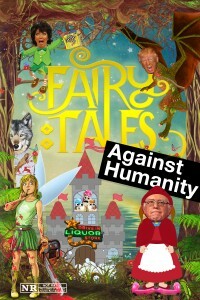 Tickets for the special performance of Fairy Tales Against Humanity on July 29 are $10 in advance and $15 at the door and may be obtained online at www.showclix.com/event/fairytales or by phone at (323) 650-0878. Tickets for the Fringe Festival Encore! Producers’ Award performances on July 20 and August 3 &10 at the Lounge Theatre are available online at www.theencoreawards.com/projects/3738, or by phone at (323) 455-4585. Tickets will also be available at the door. The Matrix Theatre is located at 7657 Melrose Avenue in Los Angeles, 90046. The Lounge Theatre is located at 6201 Santa Monica Boulevard (one block east of Vine at El Centro), in Hollywood, 90038.